You most likely tap an adjustment pad and then use the slider to apply an adjustment to your image. Buta slightly faster way that's kind of hidden. Tap an adjustment pad and keep your finger there, now drag in a direction to see the adjustment being applied to your photo. By default, the entire UI of Polarr is dark. We have a few other presets for themes. One is even darker and another is light. But, you can choose your own color if you want. This tip works regardless of whether you're in the Express or Pro workspace. You can grab and rearrange any tool in Polarr to make a layout that's unique to you. This is one for the YouTubers and anyone else using Polarr to create tutorials. Presentation mode allows any touches on your screen to appear. Check out the GIF above to see it in action. It's a great way to allow someone to follow your instructions through video. Polarr supports two workspaces: Express and Pro. The first time you launch the app you're asked to pick one. Not happy with it? Change it anytime through settings! Express mode works great for smaller screens or if you only want to have a few tools front and center. Pro mode is great for larger displays or when you want to view as many tools as possible. To change your workspace, go to Settings -> Workspace -> Select a new workspace. Polarr will automatically detect faces. If our AI sees a face it will place a box around the head when you go into the Face tools. This means you have access to powerful facial adjustments like changing the shape of a person's nose or increasing their smile. Did the AI miss a face? You can manually add a face! Just keep in mind you'll only have access to basic skin tone adjustments with this mode. In order to make any other advanced changes, the AI needs to find a face on its own. Took a bunch of photos at the same time and location? Then go ahead and take your time editing one with care. Once you're happy with the edit you can copy and paste any adjustments you made to the rest of the photos in the set. This is one of those hidden features pros will like to save time. Or go ahead and create a custom filter from your edits. In the Pro workspace, you can find the 'copy edits' button under the Global adjustments tool. In Express mode, click menu -> Copy edits. Building off of our last tip, you can take a series of edits and adjustments to a photo and save them as a custom filter. You can name the filter and keep it synced to your Polarr Pro account. This means any device where you're signed in will have your custom filters. Let's keep talking about them while we're on the subject of filters. Your custom filters aren't just for you. If you want, you can share your custom filters with others as either a static image or an animated GIF. Either way, each one has a QR code that allows others to import the filter into Polarr on their device. Found a Polarr filter on social media? There's a good chance it has a QR code that you can scan to add the filter to your own Polarr. You can scan the custom filter using the import filter button in the filter panel's custom filter section. 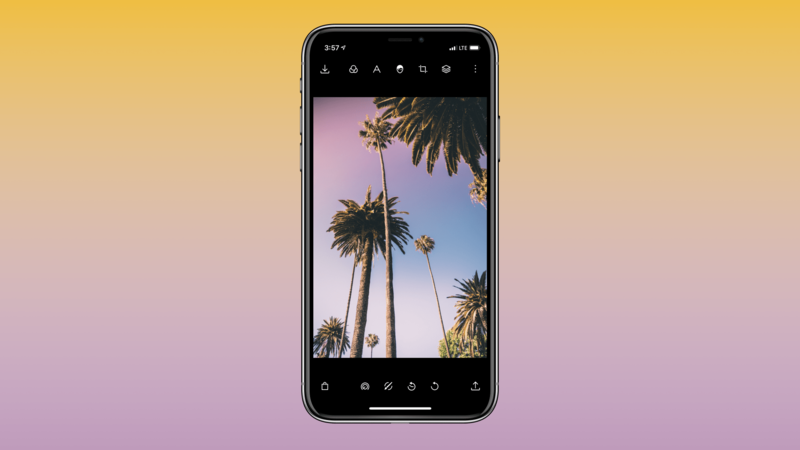 Our newest iOS app, Polarr Album Plus, uses AI to manage your photos. One of its most powerful features is batch editing images and applying filters to them. You can even apply custom created filters from Polarr with Album Plus. Long press any filter to mark it as a favorite. This is useful for any filter you find yourself going to often and don't to always have to scroll for it. It'll show up under the My Filters tab after you mark it as a favorite. Long press any filter and you can view the adjustments being applied in real-time to the photo or you can view the filter as an interactive tutorial. This past summer, we added a ton of new features when we revamped the Face tool. One of those features was Spot removal. You can now remove blemishes or unwanted spots with a few taps. You can either heal away or clone away the spot. To find the Spot Removal tool, go to the Face tool -> select Remove Spot. Although the liquify tool is in the face editing panel, it works just as effective for landscape or other photos where you need to change the shape of your subjects. Did you know that Polarr supports custom watermarks? It's true! And now you know. You can upload a transparent PNG file with your watermark to Polarr. And any photo you save will now have your watermark. You can select the position and size within the app. You'll find the watermark feature when you're exporting an image. Look for it under the watermark tab. During export, there's an option to add metadata like artist info, copyright info, or image description. To add metadata, during Export -> Metadata -> Turn on Add metadata. Under the metadata tab, we have the option to preserve location data. This means your images will keep their original location information, which is great for a lot of people. But users wanting to keep an images location secret should turn off this setting. Turn off location data by going to Export -> Metadata -> Turning off Preserve location data. Tap or click on your image to view the related EXIF data and histogram. Not sure how to read the histogram? Read our Pixel Magazine entry on it. We have a surprise for users on iOS devices with 3D touch-support. You can 3D Touch the Polarr icon for a list of quick action times: editing the last photo you took or continuing the previous edit. Made a ton of edits to your photo? On mobile, you can long press the image to see what the original image looked like before you cranked up the saturation slider. On the desktop, it's easy to figure out how to to do batch export for the images in your filmstrip. It's in the export tool when you're getting ready to save your images. You can do the same on mobile, but with a long press on an image and then select more to do the same. You can even apply a filter to multiple images this way. On iOS, you can use Force touch to preview an image. Keep applying pressure to make it fullscreen. Using Polarr on a desktop? Then you've probably noticed the filmstrip on the bottom where you can up to 200 photos for editing. Grab the handles of the filmstrip to hide it or enlarge it. Polarr has full desktop keyboard shortcuts support to help you quickly switch panels and perform quick actions such as save or open photo. Have any questions? Reach out to support@polarr.co and we'd be happy to answer them!